PT Mass Rapid Transit (MRT) Jakarta begins completing MRT with disability-friendly facilities. It is a form of PT MRT's commitment to providing public transportation services to the public.
" HI Roundabout Station towards Lebak Bulus Station with a speed of 50-70 km/hour with an average stop at each station around 1-1.5 minutes only takes 30 minutes"
PT MRT Jakarta Presidential Director, William Sabandar stated that it is one of the efforts made by his party to realize all the criteria for public transportation that the people want, including being able to transport large numbers of passengers and disability passengers. Some disability-friendly facilities are provided, starting from toilets, priority chairs, elevators to go to concourse and platforms. Additionally, the pedestrian track will be equipped with a tactile paving. Each MRT station will have certain signals and signs. As for the trials of distance and travel time and stop time per station have met the requirements as urban mass transportation desired by the people. 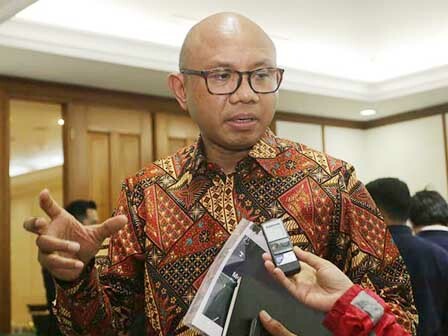 "For instance is like from HI Roundabout Station towards Lebak Bulus Station with a speed of 50-70 km/hour with an average stop at each station around 1-1.5 minutes only takes 30 minutes," he expressed. As an urban public transportation, MRT has the principle of being friendly to people with disabilities and the principles of speed, accuracy, security and comfort.